Crock Pots are wonderful at making cooking much easier and virtually foolproof. You can make so many delicious meals using chicken in a crock pot and you would be surprised how many different dinners you can easily make. I actually prefer whole chicken in the crock pot vs any other way I’ve made it (even rotisserie!). If you’ve never tried it, you must! 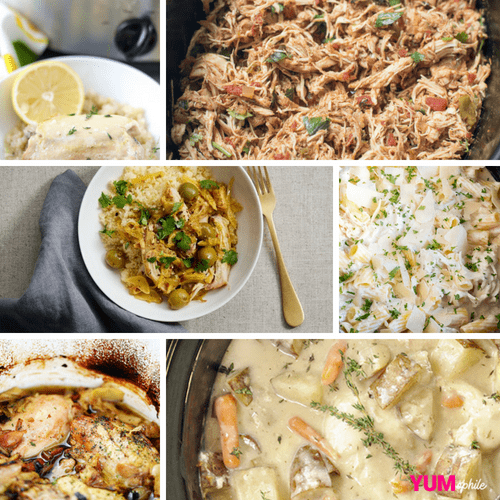 Below, I’ve listed 21 of the tastiest and easiest recipes for the crock pot.